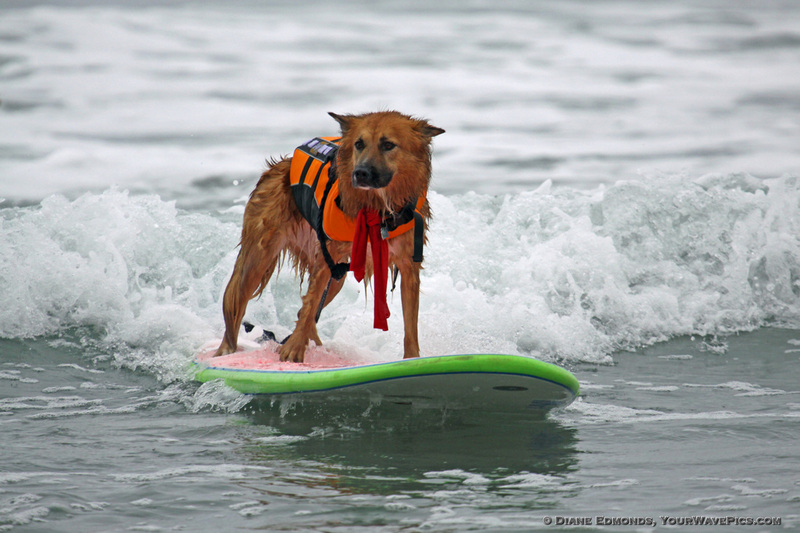 Pet Peeves: Being left at home! 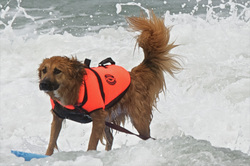 Earned my spot as "Flight Engineer"
so I should never be left at home! 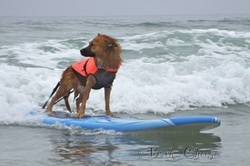 I am also a 'Natural Balance" dog. 'Biscuits by Lambchop' and "Greenies"
Kona was found wandering lost, and alone, alongside a railroad track early one morning in March of 2006. 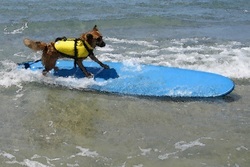 She was very tired and hungry and happily accepted the ride, water bowl and dog bed that I and my Jeep had to offer. 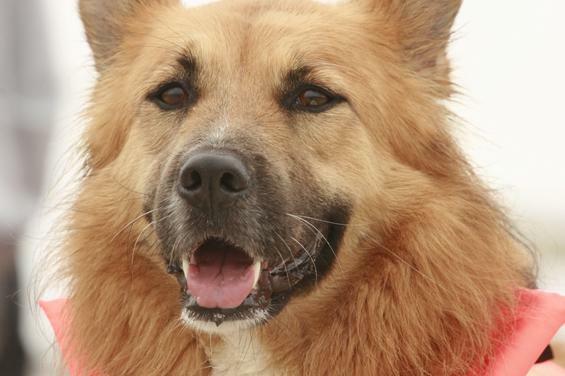 A detour to the local animal shelter revealed that not only did not have a name tag or license, but she also wasn’t micro-chipped. 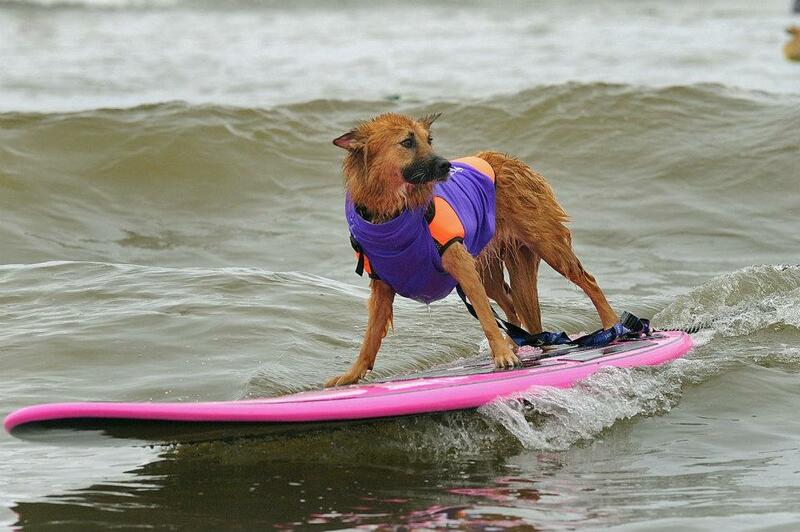 It was “guesstimated” that she was about 6 months old and a German Shepherd mix, weighing in at a whopping 15 lbs. 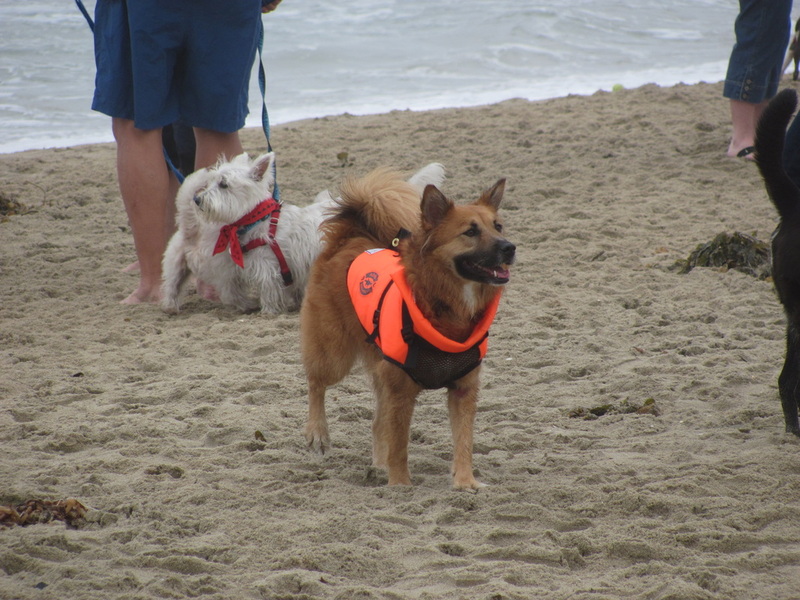 After several weeks of attempting to locate her owner, and with no one claiming her, I ran the idea of a 3rd dog past my older two. 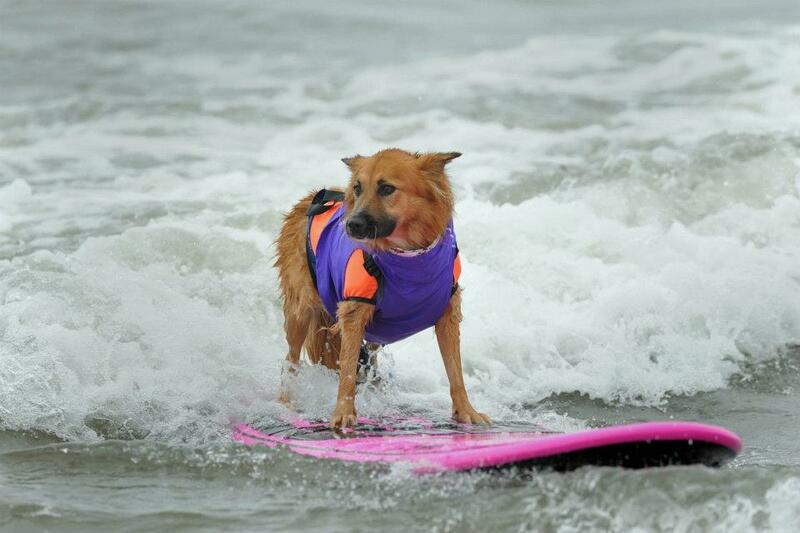 They were a little reluctant, but once they met her…well, they were a little less reluctant. However, in short order our Jeep crew gained a “cabin attendant”, which nicely complimented the co-pilot and flight engineer positions that were already held by Mako & Molson (Kona’s siblings). 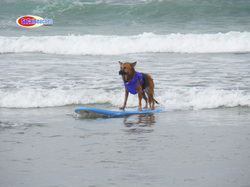 We discovered on our first trip to the beach that Kona loves to play in the water and swim. 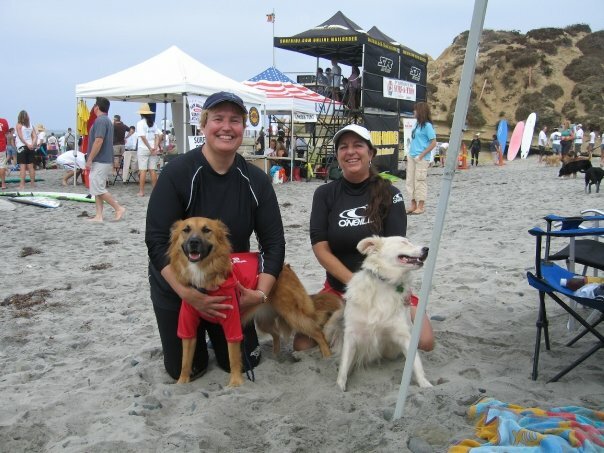 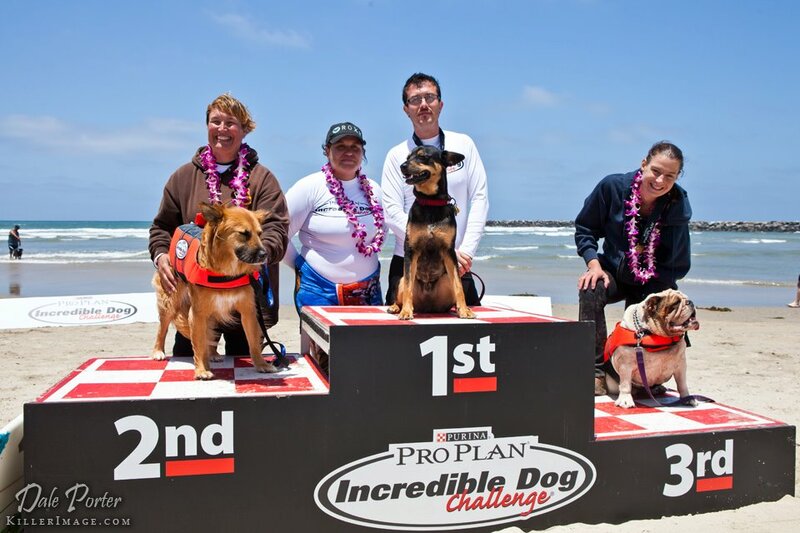 In Summer 2008 we attended the Loews Coronado Surf Dog contest in Imperial Beach, CA. 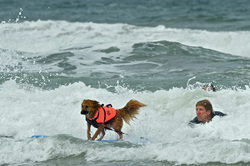 Kona appeared to have much more interest in being a pawticipant than spectator. This, in turn, led to my signing her up (2 months later) for surf lessons with the “San Diego Surfing Academy” because, after all, what other option was there? 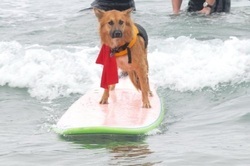 Kona has been surfing ever since. 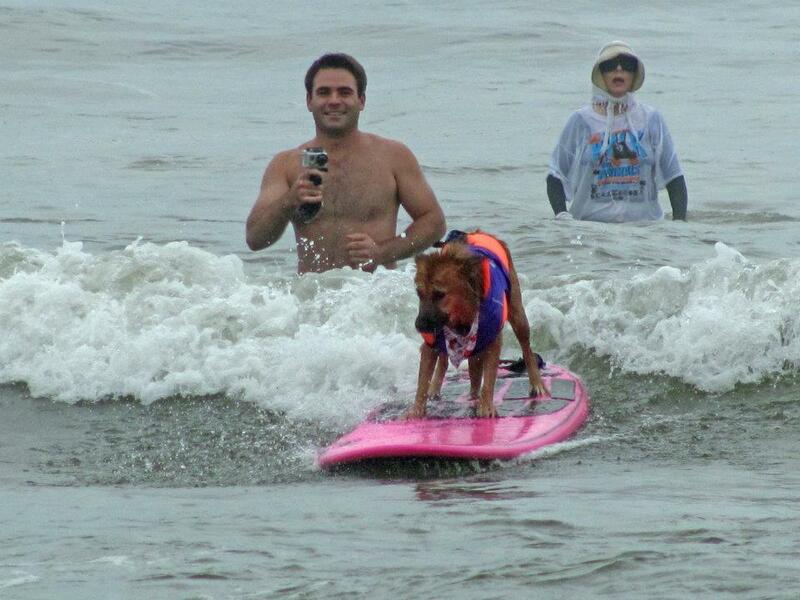 To date she has raised ~$3,000 for various animal & human charities through her entry fees and fund raising efforts. 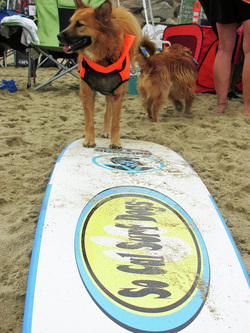 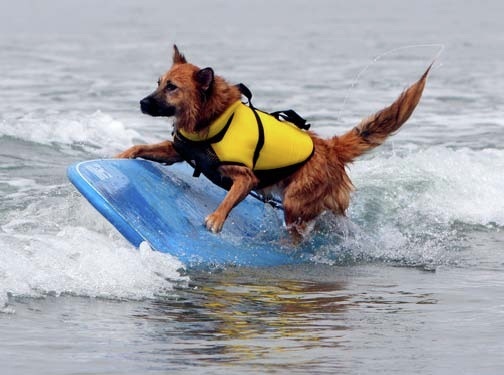 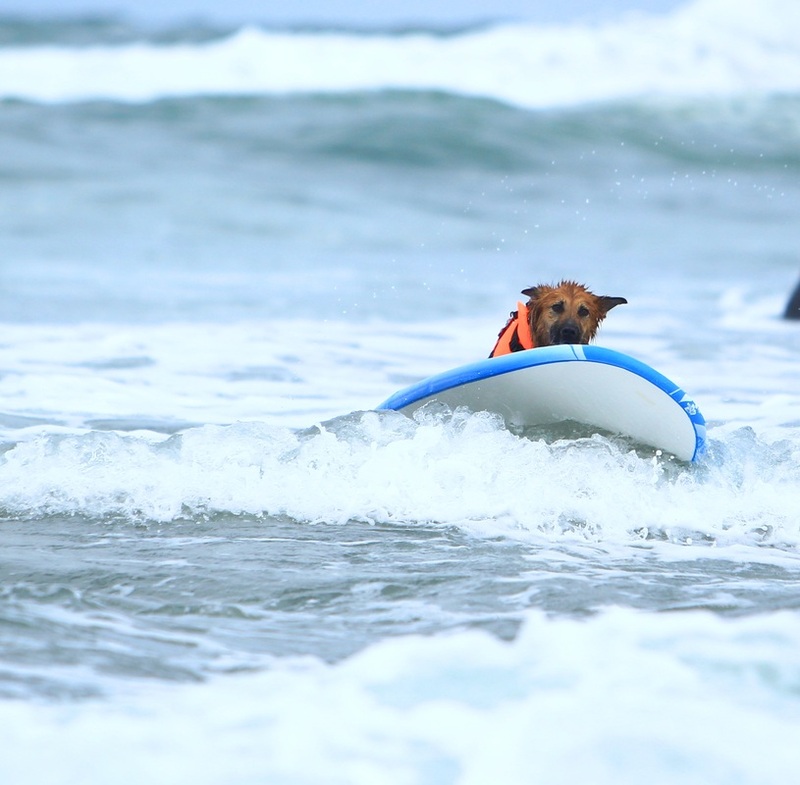 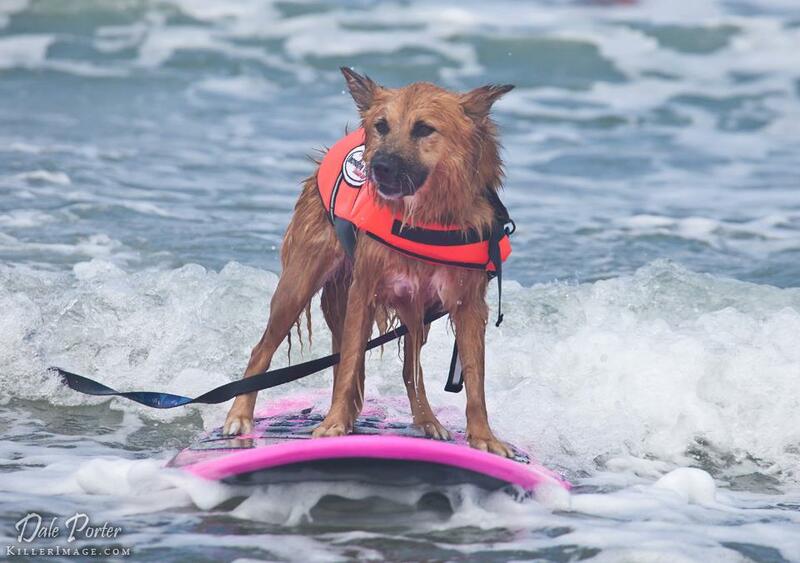 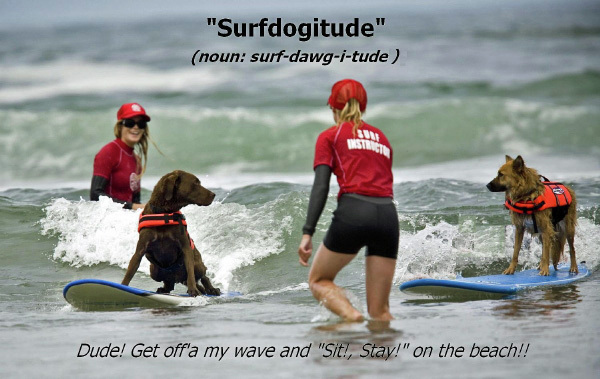 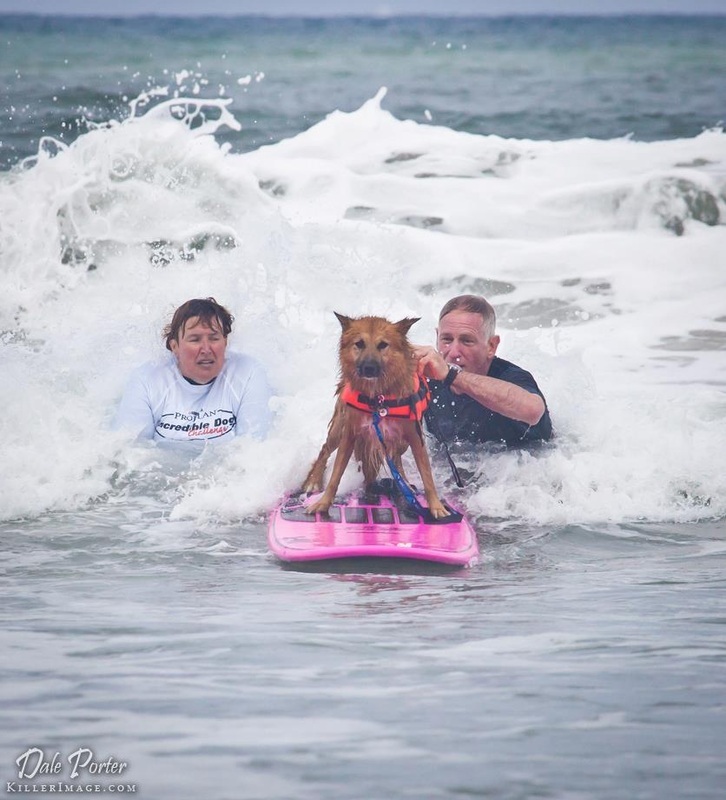 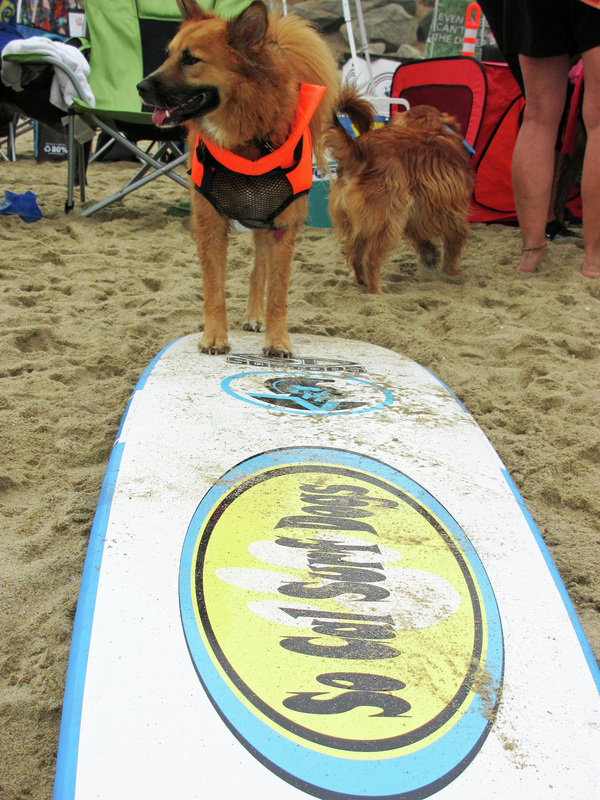 She and her surf dog buddies Guido and Antonio joined paws to form team “K9 Kahunas”. Kona lives in Escondido, California and you can find her and her pack of surfin’ pals practicing most weekends at either: Coronado Dog Beach, Ocean Beach Dog Beach or Del Mar Dog Beach.